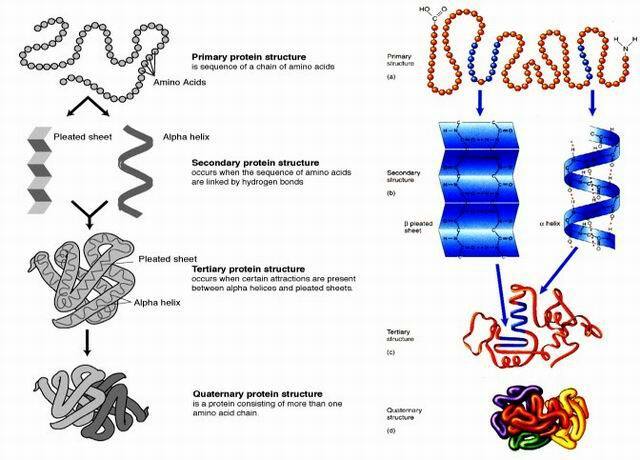 Proteins can be subdivided into two main categories according to their tertiary (globular) or quaternary structure (fibrous). Usually (not always) globular proteins are water soluble and fibrous proteins are not water soluble. 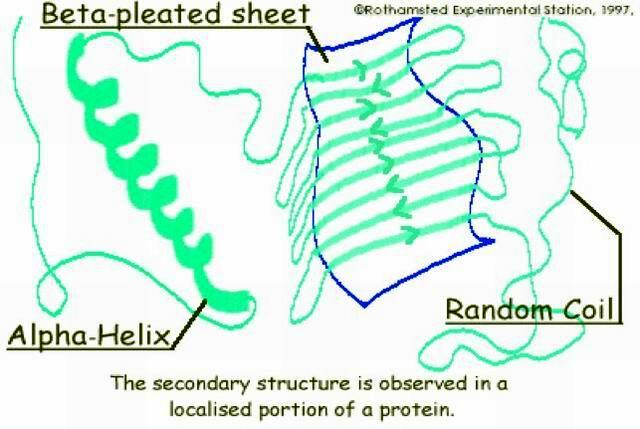 The number of hydrophilic interactions with surrounding water as well as the hydrophobic interactions inside the proteins are both important to determine if a protein is globular or fibrous. 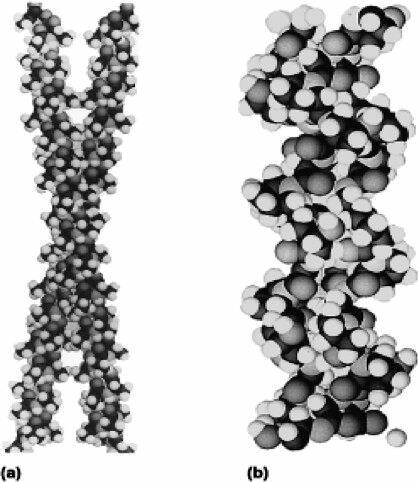 In globular proteins there are enough hydrophilic regions to surround the hydrophobic core: many alpha helices and beta sheets. It is the most abundant protein in mammals. Different collagen types in different tissues. 3 helix (non α-helix!) rich in gly and pro. It forms insoluble fibre having very high strength and resistance to traction. The helix is stabilized by amino acids (higher % in hot-blooded animals). The role of hydroxy amino acids (OH-Pro e OH-Lys) and the importance of Vitamin C.
Tropocollagen and the process of collagen biosynthesis. Main component of elastic fibre in blood vessels. 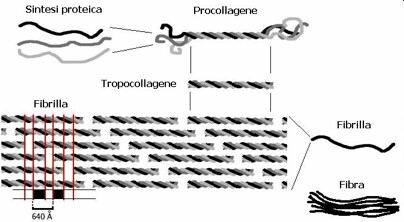 Similar to collagen with less Pro and without OH-Lys. 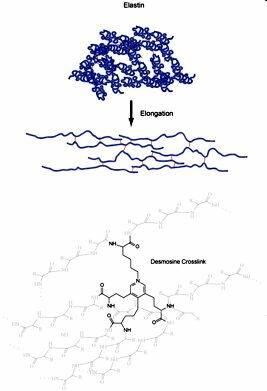 Cross bonds formed by four lysine residues (desmosin) are important for elastic function. Many sequence VPGV means a lot of beta turns.